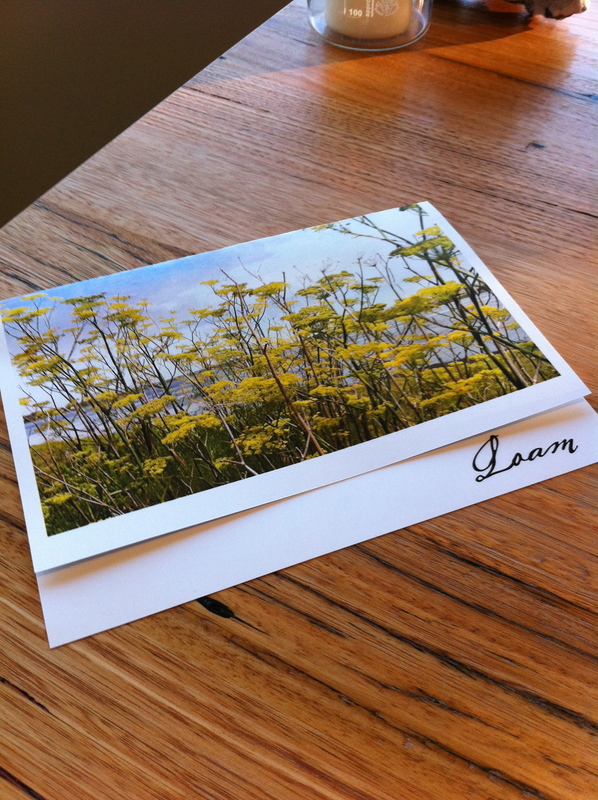 Loam… Amazing! | 15,000kms of Food! Got taken to Loam for my birthday! It was truly spectacular! Beautiful countryside, great looking restaurant, great service and sensational food! Some of the food combos were mind blowing, and they were all well balanced and enhanced the flavour of the key ingredient. The menu has an interesting format, in that they have a list of ingredients that are in season and that will be featured in the dishes. All you have to do is specify how many courses you’d like to have. We all know I’m a glutton, so it was 9 course for me, plus matching wines. Before commencing, we start with bread and a few munchies. 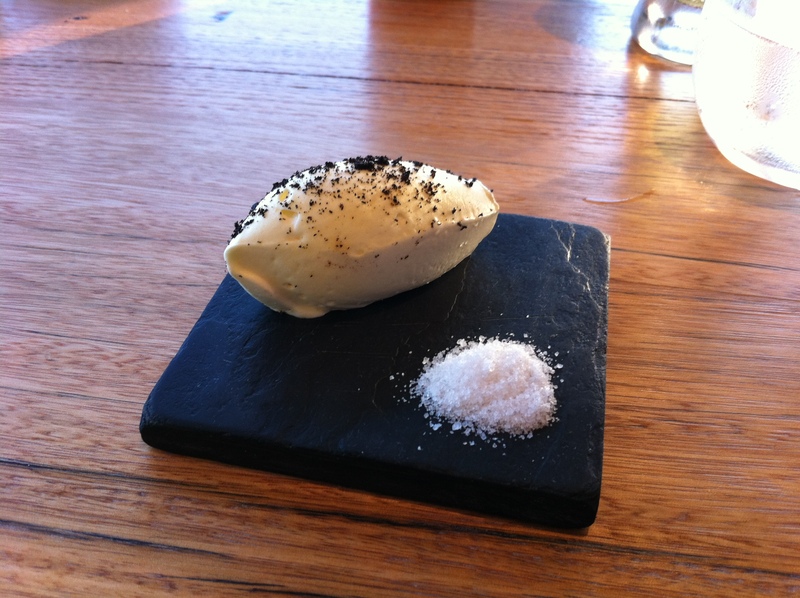 The butter that went with the bread was so good – it was house churned (hence it was soft and fluffy) and smoked. I don’t normally eat more than 1 slice of bread but on this occasion I had 3 slices as the butter was so good! 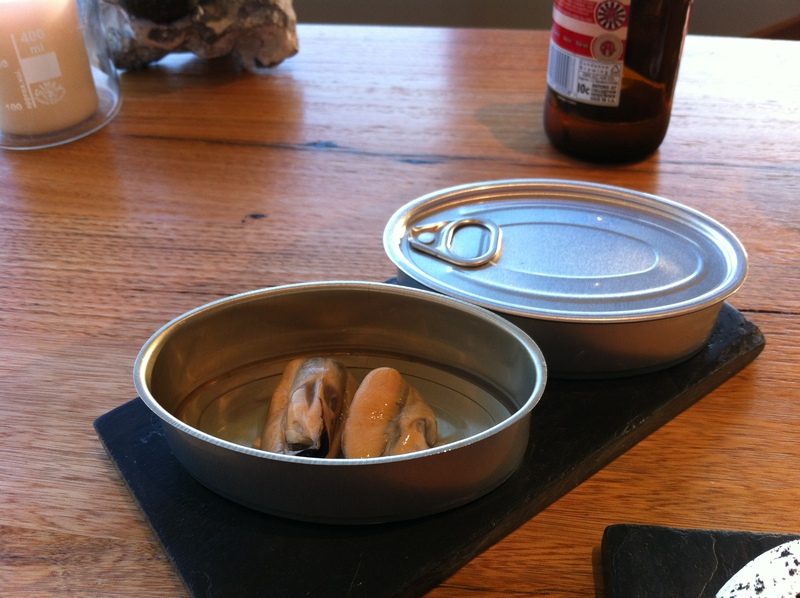 We also had cured mussels, parmesan biscuits and salmon jerky. First up, we had the “cuttlefish, ink, unripe tomato“. 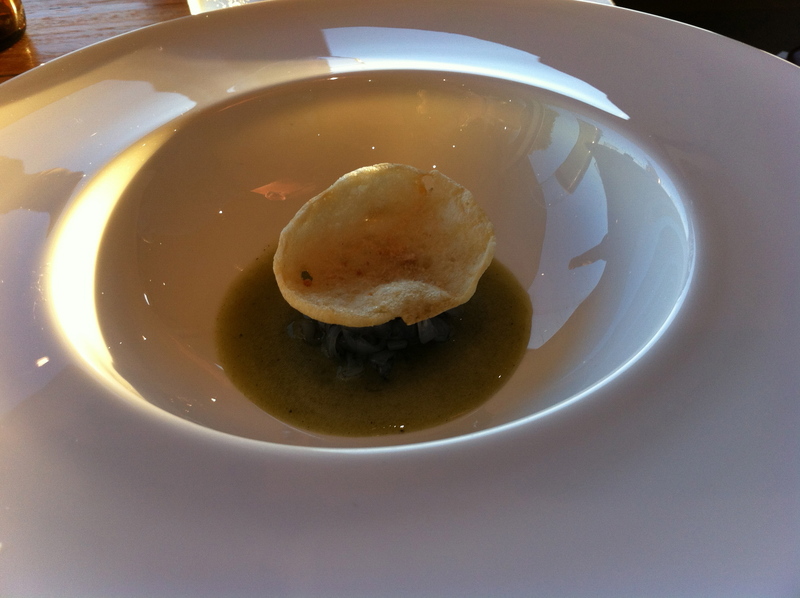 The cuttlefish was marinated in squid ink and sat in the tomato consume, topped with a cuttlefish cracker. 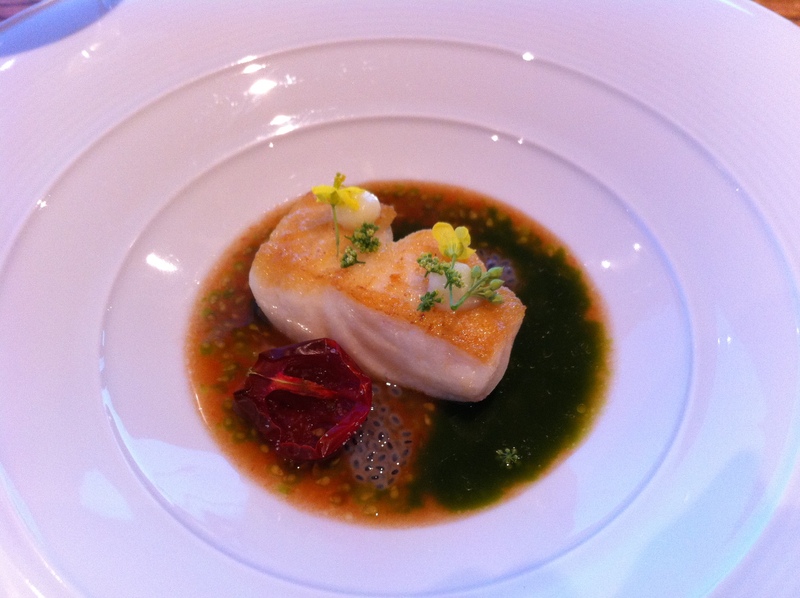 The unripe tomato consume packs a punch, but the star of this dish was the cracker which contrasted with the silky texture of the marinated cuttlefish. The “marron, lychee, turnip, macadamia, celery” dish was mind blowing. The marron and lychee were covered in macadamia shavings which meant that when you took a bite of it, it dried your mouth out a bit before hitting it with the juicy sweetness of lychee and marron. Phenomenal. The “snapper, black russian tomato, basil seed, samphire” was a beautiful panfried snapper in a tomato consume with basil seed and packed a lemony punch. Good looking dish which tasted great too. 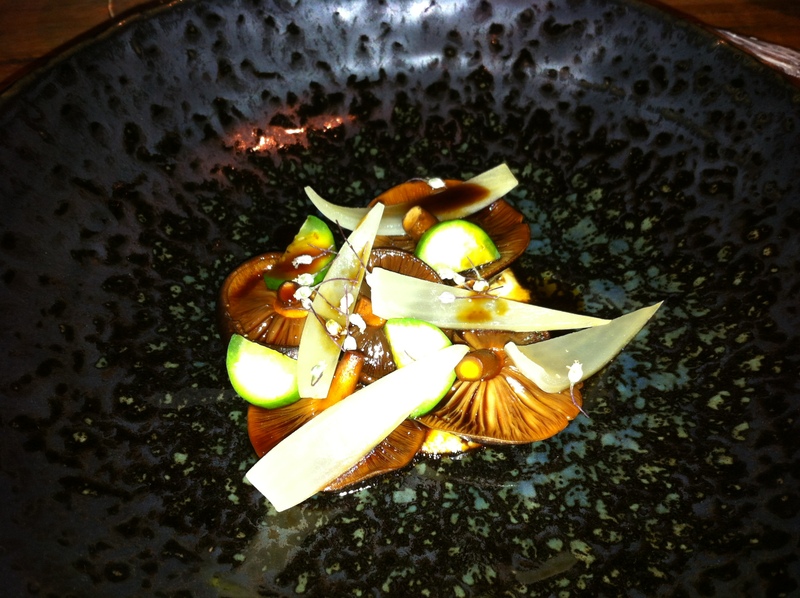 The “shiitake, cheese rind, onion, cucumber, tea tree fungus” dish had oven roasted shiitake mixed with onion, onion flower and lebanese cucumber atop a cheese rind custard. Surprisingly a light dish which smelled amazon. Mushrooms never tasted so good. 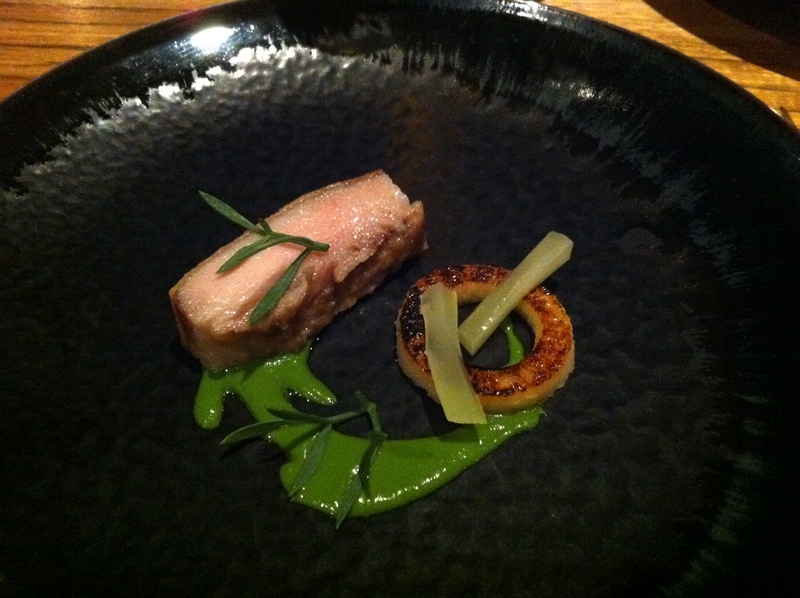 Next up was the “pork jowl, watercress, pear, lettuce hearts, purslane“… the pork had been cooked for 17 hours and then pan fried to crisp it… delicious! Best pork I’d ever had. Amazing. 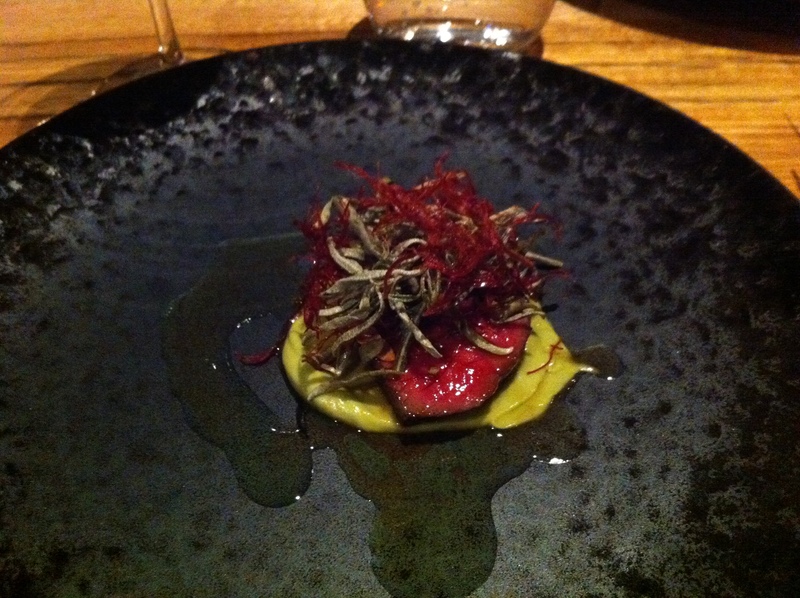 The final savoury dish was the “wagyu rump, avocado, veal tongue, saltbush, thyme” which consisted of crispy shredded veal tongue and saltbush leaves sitting atop a perfectly cooked piece of meat on avocado purée. Again, amazing. 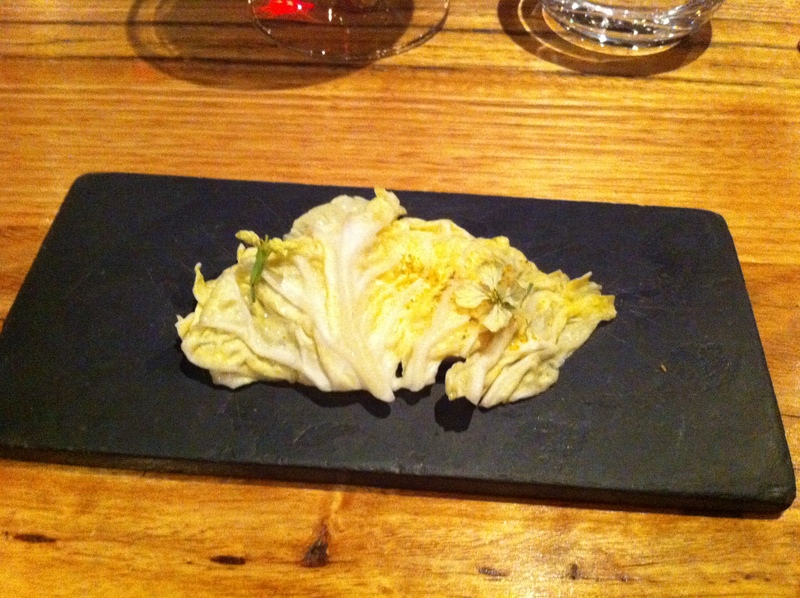 The first of the desserts was “mauri taleggio, fermented cabbage, raw honey, pollen“. The picture below shows the fermented cabbage sitting atop the taleggio. The taleggio is from Northern Italy and the cabbage is fermented for 10 days in the same bacteria as the cheese (yup, the chef told me himself!). As a cheese lover, I loved this dish. The cheese was amplified by the fermented cabbage – stinky and amazing! Next dessert was “fig leaf, molasses, wild plum, mint, spiced bread“. 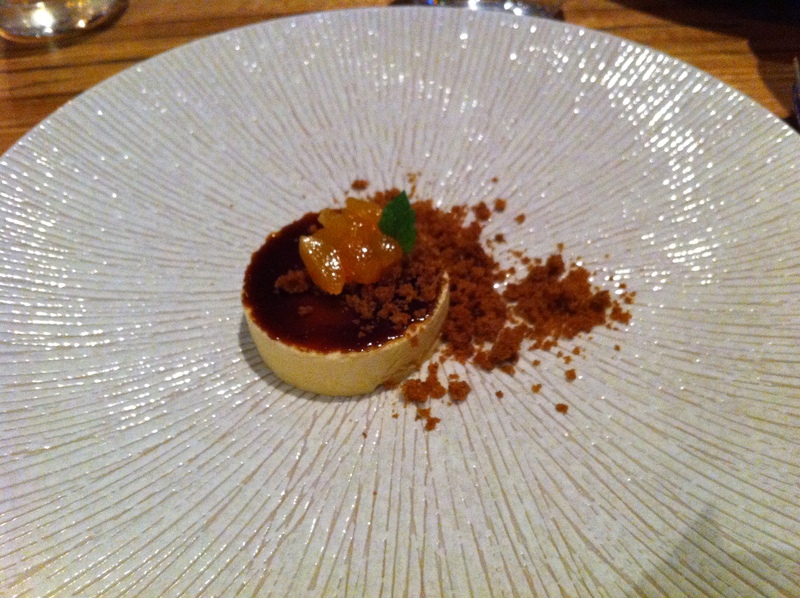 The parfait was fig leaf, with a crystallised sliver of molasses on top. This was topped by the wild plum with spiced breadcrumbs around it. This dessert came with an elderflower liquor as the acommpanying drink and the combination was fantastic. 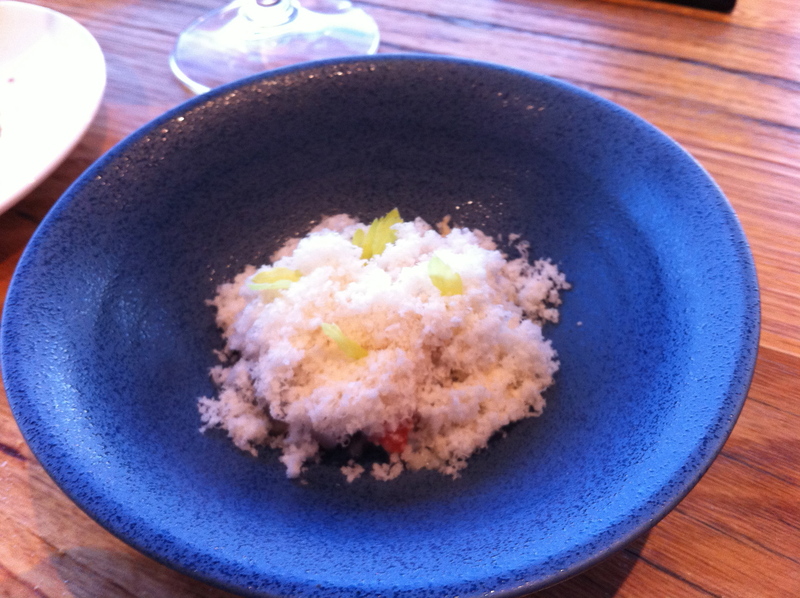 Last dish for the night was “berries, rhubarb, pine yoghurt, wild fennel, milk“. 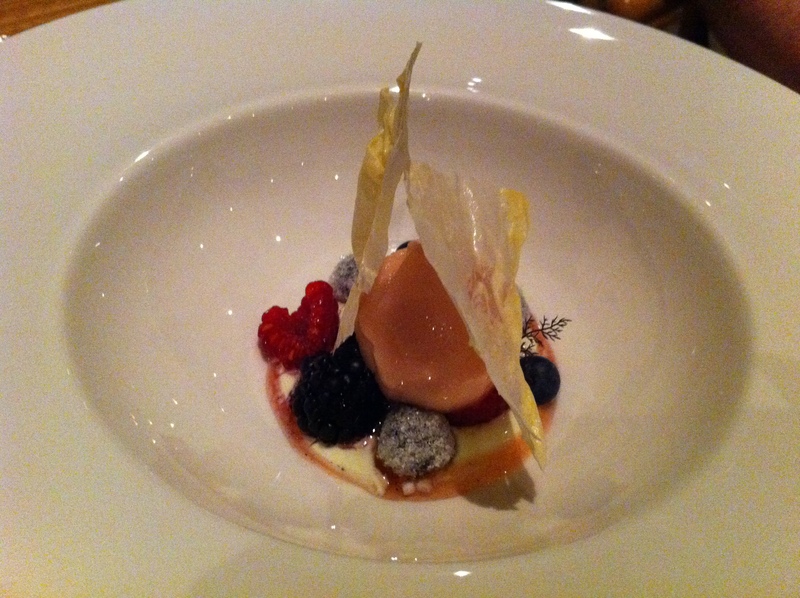 The rhubarb came in the form of sorbet and was surrounded by berries. 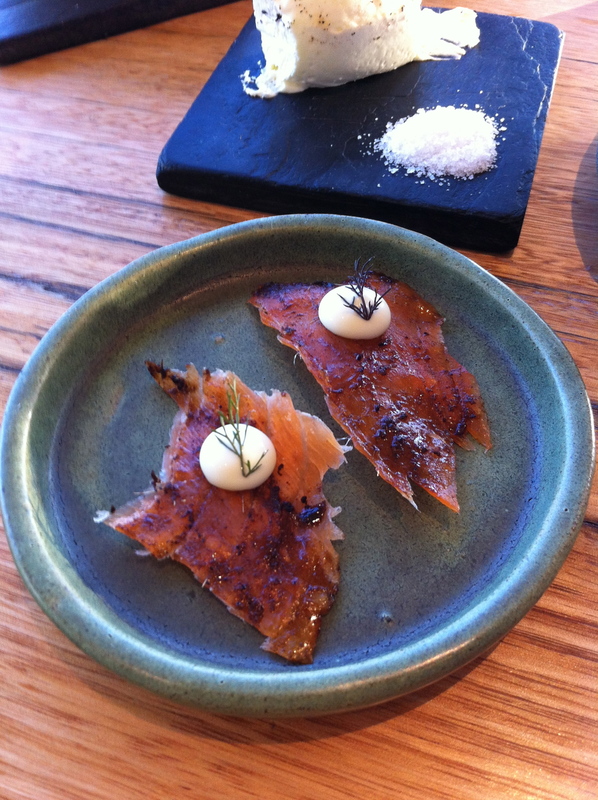 Crispy milk skin sat on top and on the bottom was a goats milk yoghurt. It was a nice light end to the fabulous dinner. Overall, the dinner was amazing. I honestly can’t fault anything about the whole experience. To top it off, as it was my birthday, I got to visit the kitchen at the end of the night and have a chat with the head chef (Aaron). It was such a great experience! 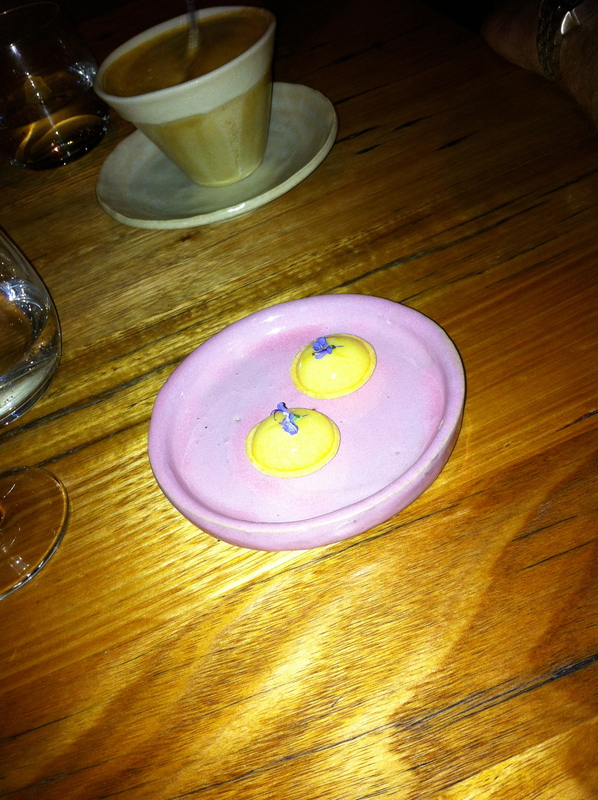 One last photo, and that was the lovely little lemon tarts that came with our coffee. One last time… amazing! Previous PostPapa Goose: great “modern British fare”Next PostThe Atlantic… great seafood cocktail! 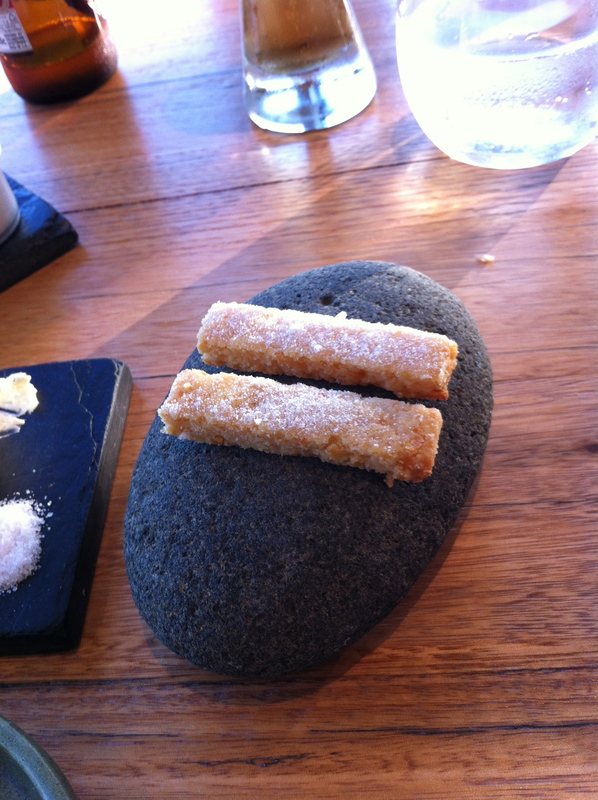 Pingback: Dining at the #3 Restaurant in the World: Mugaritz, San Sebastian « 15,000kms of Food!